Forest owners are crucial partners for us. Trust and long-term collaboration are among our values and our partnerships with private forest owners often extends over generations. Our procurement supervisors handle the whole process of wood procurement starting from purchasing of timber and marking the best poles in the forest to deliveries at production facilities. There are different approaches to timber procurement available. 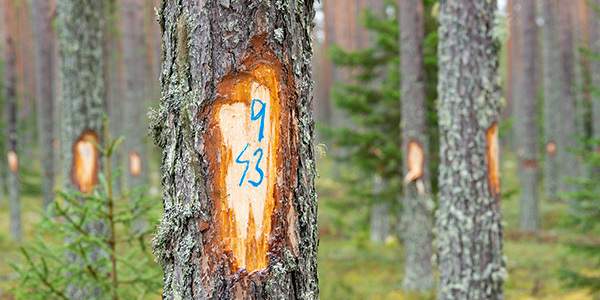 In Finland, for example, we can purchase trees prior to logging and we also handle the logging and transport of timber. The forest owner can also sell logged trees in accordance with specified criteria and transport the logs to the roadside. We consider biodiversity and apply principles of sustainable development in all aspects of wood procurement. Read more about our certificates and standards here.